Israels 30,000 Karaites follow Bible, not Talmud – J.
REHOVOT, ISRAEL — Israel today is home to some 30,000 Karaites who are Jews, but Jews with a difference. They are followers of a movement that broke away from mainstream Judaism in eighth-century Babylonia, and retained its separate identity and customs to this day. 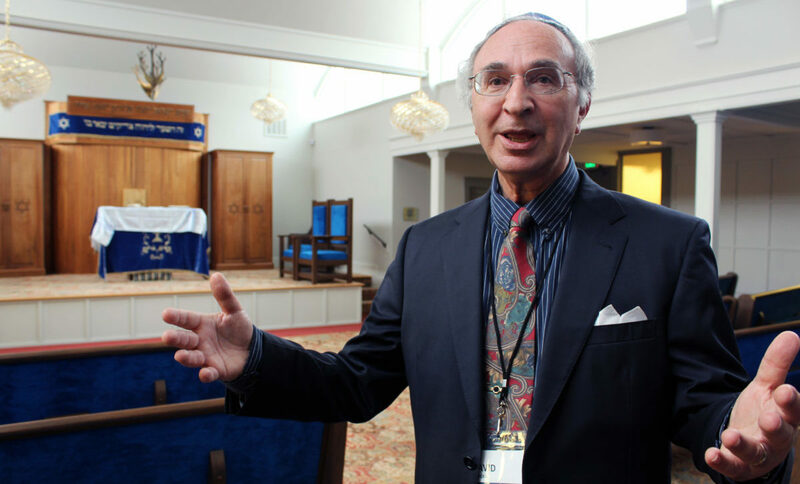 More than 1,000 Karaites live in the Bay Area, where many worship at the Karaite Jews of America's congregation in Daly City, led by Rav Joe Pessah. Founding members are from Egypt, and fled from Cairo after the Six-Day War in 1967. For them, only the Bible counts. That makes the Karaite form of Judaism more restrictive in some respects, less so in others. That makes the Karaite form of Judaism more restrictive in some respects, less so in others. Much has been written about the "December dilemma" confronted by diaspora Jews, who must convince their children to forego celebrating Christmas and to concentrate on Chanukah instead. According to Ashdod Karaite Rabbi Eliyahu Dabbah, there's a December dilemma for Israeli Karaites, too: They don't celebrate Chanukah because the saga of the Maccabees is not mentioned in the Bible. "So when that holiday comes around," Dabbah explains, "our children feel like outsiders. This forces us to make compromises, which take the form, for example, of the lighting of Chanukah candles in some Karaite homes." Regarding the Sabbath, the prohibition of work extends beyond the 39 actions forbidden in mainstream, rabbinic Judaism. Karaites are enjoined from any activity not forming part of the prayer service or not absolutely essential for the satisfaction of physical needs. For example, the Karaites don't try to circumvent the prohibition against kindling a fire — and by extension, turning on a light– on the Sabbath. So, rather than following in the footsteps of rabbinic Jews, who may install an electrical system to automatically switch household lights on and off on Shabbat, the Karaites, if they are true to their traditions, simply sit in the dark. At the same time, the kashrut practices of the Karaites are much less restrictive than those of rabbinic Jews. The prohibition in the Bible against "boiling a kid in its mother's milk" was extended by rabbinic Judaism to a total ban on the combined consumption of milk and meat. Karaites reject that extension, though in different degrees. All agree that chicken and milk products can be eaten together. As for beef, some Karaites eat it with milk products, if the milk and meat are from different sources; others don't mix the two at all. Contemporary Karaites also see no reason for rabbinic Judaism's continued emphasis on separate sets of dishes for meat, milk and Passover meals. With modern nonporous dishware, the Karaites say, separate sets are not only unnecessary, but place a heavy burden on the Israeli economy. The founder of Karaism is usually said to be Anan, a rebellious scion of the Babylonian family — descendants of the House of David — which enjoyed supreme authority among diaspora Jews after the destruction of the Second Temple in Jerusalem. The Karaites became a discernible element in Mideast Jewish life in the eighth through 10th centuries, with special influence in Egypt and in pre-state Israel. At the end of the 11th century, the center of Karaite activity shifted to Europe. First the Karaites were concentrated in the Byzantine Empire, and later they established a presence in the Crimea and Lithuania, usually in close cooperation with rabbinic Jews. The situation changed when Lithuania and Crimea were incorporated into Russia at the end of the 18th century. In 1795, Empress Catherine II relieved the Karaites of the double tax imposed upon Jews, and permitted them to acquire land. That created a wall of separation between rabbinic and Karaite Jews, each group enjoying civil rights to a different degree. The inequality between the two groups grew larger in 1827 when the Crimean Karaites were exempted from the general military draft law, a privilege that was not extended to the rabbinic Jews. A year later, Lithuanian Karaites were similarly exempted. A huge disparity between Karaites and mainstream Jews was created during World War II, when the Germans ruled that Karaites were not Jews — a decision that saved most of them from death, although some were massacred at Babi Yar in 1941. At the end of World War II, the only sizable Karaite community was in Egypt. But after the Sinai Campaign in 1956, most came to Israel, though some also immigrated to France, the United States and other Western countries. While Israel's 30,000 Karaites are scattered all over the Jewish state, they have managed to establish 11 synagogues. The largest is in Ashdod, south of Tel Aviv, the home of some 1,500 Karaite families. This rapidly growing port town is the venue for numerous Karaite cultural and religious activities. According to Ashdod Karaite Rabbi Moshe Firus, his community doesn't receive as much support from the Ministry of Religious Affairs as do Orthodox congregations. Moreover, he adds, the former get regular allocations, while the Karaites are only given ad hoc grants, which can be withheld at will. 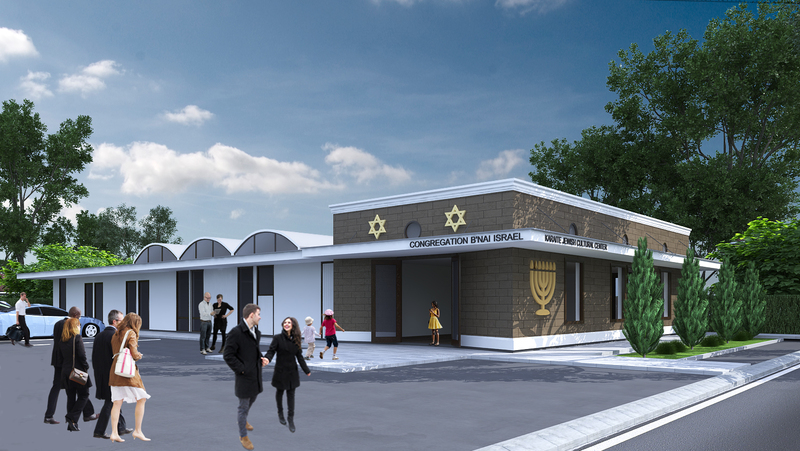 But, Firus adds, the Ashdod municipality, no doubt influenced by the substantial number of Karaite voters in the town, has supported various projects, including the construction of a handsome new community center. Even in Ashdod, however, there are things that the Karaites can't do — like putting an identifying sign on their butcher shop. It sells kosher meat, or perhaps more correctly, super-kosher meat, because the Karaite rules for ritual slaughter are more stringent than those of rabbinic Jews. But local Orthodox rabbis, who see the Karaites as rivals, have prevented the placing of a sign lest an "ordinary Jew" be "tricked" into buying Karaite meat. There is a "mezuzah compromise" as well. The Karaites do not traditionally place a mezuzah on their doorposts. Instead, they put up a little plaque with the Ten Commandments. But in Israel, in order to make other Jews feel comfortable, many have a mezuzah on their doorposts as well. There are also differences regarding ritual purification. While traditional rabbinic Jews go to a mikvah, or ritual bath, the Karaites simply take a shower at home. When entering a Karaite synagogue, the first thing one notices is a long line of shoehorns hanging on the wall. They are there because visitors must remove their shoes before entering the house of prayer. Did the Karaites borrow the custom from the Muslims? Yosef Dvir, secretary of the Karaite community, says no, the Muslims borrowed it from the Jews. Moreover, Dvir added, "before Eastern Jews came to Israel, they, like the Karaites, removed their shoes before praying in a synagogue, where they sat on rugs rather than on chairs or benches." Karaites have never been numerous. In 1932, according to the Jewish Encyclopedia, there were only some 10,000 of them in Russia and approximately 2,000 elsewhere in the world. So they are numerically stronger today than they were 65 years ago. But despite their 11 synagogues in Israel (with others in Paris, New York, the Bay Area and, of late, St. Petersburg), their survival is by no means assured. While no figures on marriages between rabbinic and Karaite Jews in Israel are available, the phenomenon is common and likely to become more so because the Karaites mix freely with mainstream Jews. Moreover, their children are influenced by rabbinic Jewish teachers, pupils and customs at their schools. Their only exposure to their own heritage is at "Sunday schools." Be that as it may, the Karaites believe that since God has preserved them for 13 centuries, God will do so for at least 13 more.